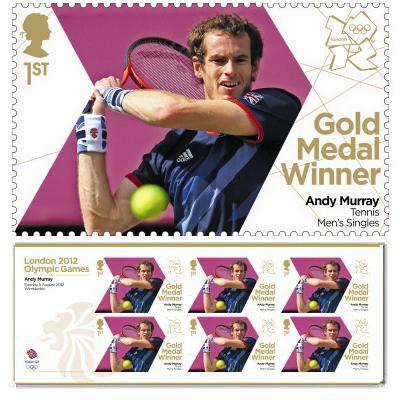 London 2012 Olympic Gold winner Andy Murray in commemerative stamp mode. Some remarkable feats have been accomplished over the last two weeks. Great Britain winning Olympic gold in non seated sports, Arsene Wenger has been opening his chequebook and of course Andy Murray finally gained revenge over Roger Federer. The 5th August 2012 could forever be remembered as the day Andy Murray became a major force in tennis and not just the nearly man of several grand slam tournaments. The defeat of Federer in less than two hours, that included a nine game consecutive winning streak, was a stunning repost to the Wimbledon final of four weeks ago. Tim Henman stated that Murray had ‘not only beaten Federer, he (had) taken him apart.’ The combative approach from the Scot gave the Swiss no room for error. He was effectively forcing Federer to place each shot on the fringes of the playing surface. Even a player with the record of the world number one cannot consistently compete with the pressure of doing this. It did seem, however, that there were other mitigating factors amalgamated into the performance. It became clear that Federer had been affected by his route to the final. Maybe the mammoth final set against Juan Martin del Potro (19-17) had taken its toll. The elation after the semi final showed the enormous degree of emotion it meant to have a duel in the sun for Olympic singles gold on Sunday. At Beijing, the supreme Swiss was defeated by the American James Blake in the quarters and in Athens, he only managed one win before succumbing to the then 19 year old Tomáš Berdych of the Czech Republic. Throughout the final it was clear that there was something not completely right with the 17 grand slam champion. Fatigue would have taken its toll on the 30 year old but it seemed that Federer was losing a battle with himself. The pressure was solely on him after 4 weeks ago, giving Murray a freedom to swing. The only major title Federer has not claimed in his glittering career may burden him forever. The outcome cannot be pressed upon the shoulders of a poor performer whilst ignoring the example set by the eventual winner. Minimal unforced errors, a catalogue of gigantic winners off both sides and a first serve percentage of a champion oozed from the sweat in the GB wristband of the man from Dunblane. The consistency of first serve has been the major problem for Murray. It is often wavered in key matches over his career; it has been known to slip below 55%, especially in games against the big three of Rafael Nadal, Novak Djokovic and of course Federer. The catalyst for this may have been nerves and more likely a loss of confidence within himself as the big match appetite of these athletes kicks in. The approach on Sunday was to get on top of Federer as quickly as possible following the illustration set in the Wimbledon final. The result of this was excellent for Murray until at 2-0 on his serve in the second set, there began a sequence of several deuces upon the Brits serve. The correlation between the two finals was remarkable as the same event occurred prior. This time the ending was different, leaving Murray to leave Federer in his wake. This was the impact of Ivan Lendl that many have been talking about. We were witness to the iceman approach to everything on a tennis court. Where previously Murray would have cursed towards his team in the stands, it was a case of focus and forget. There are instances where certain shots have completely derailed the performance of Murray. One such example is the 2011 Wimbledon semi final against Nadal. Having missed an easy volley to go a set and two breaks of serve up against the Spaniard, he didn’t win another game until the fourth and final set. The tenure of such meltdowns is clearly over for the foreseeable future and great praise should be given to Team Murray, in particular Ivan Lendl. With the winner of eight grand slams in your camp, it is highly likely that Murray will improve his all time number 7 ranking for winning the first set and converting it to a victory. For Murray now, the next 3 weeks is integral. The US Open begins on the 27th August at Flushing Meadows, New York and the time from the Olympics to the Open has to be used sensibly. The Scot beat Flavio Cipolla before withdrawing with a knee injury in Toronto. The withdrawal from Toronto would be to recover his vigour in advance of defending the title in Cincinnati. Murray heads to Cincinnati next week to build some hard court experience. By beating Cipolla, Murray had already gained ranking points on last year. With Nadal’s fitness questionable, upon arrival in New York there is a real chance that the Spaniard will be replaced as the new number 3 in the World. The return to imperious form of Juan Martin del Potro will strike fear into the field at Flushing Meadows. 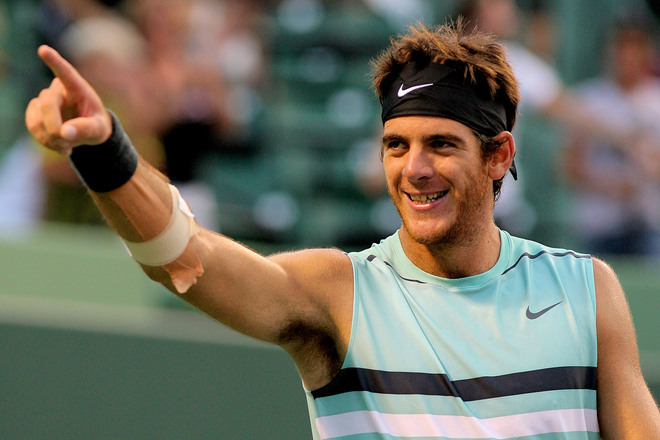 The big threat to the big names at Flushing Meadows is the return of the Argentine giant del Potro. At 6’6 del Potro is one of the taller players on the tour but he is no lumbering oaf across the court. The 2009 US Open winner has footwork akin to a boxer and certainly contains similar strength and counterpunch mentality to these athletes. Blistering forehands and consistent serving brought home the bronze medal for Argentina in London. The upturn in form at the Olympics has sealed the progression back to the upper echelons of the ATP tour and it looks like the wrist injury that effectively saw him out of the game for the 18 months following his only grand slam victory has been forgotten. Del Potro is a real threat again and I for sure believe that there is an outside chance to claim glory at the US Open. The Argentinean is back on equal par with the big 4 in the mens game as they clamber for the trophy. So much so I may even take a trip to the bookies. ← A truly competitive age?